As of midnight last night (February 27, 2016) our contract with Stop & Shop has expired after a frustrating day in which the Company rejected the Union’s wage proposal in its entirety and then stormed out of the room. What does this mean to you as an employee of Stop & Shop? Not much. As long as both sides are still bargaining, the remainder of the contract is still in effect, such as your wages, hours, pension, health care and other working conditions which you presently enjoy. Some of you may be wondering why Local 328 (unlike Local 1445) did not take a strike vote today. We have done this in the past and I feel that it creates more unnecessary fear and confusion then is necessary. It is my goal to work towards getting you a fair and equitable contract but, if we get to a point where we have to take a strike vote it will be my intention at that time to strike your employer. We are all fully aware that this is a very stressful time for you and your family, and it is not our intention to put you through this every three years, but it seems that every three years your employer becomes more and more difficult while at the same time demanding more and more givebacks. I ask for your continued support and patience and allow us more time to try to reach an agreement. We have the full support of all the other local unions around the country, as well as the full support from our International. Our fight is their fight. Please continue to go to work and follow the direction of your stewards, Reps, and Local officials, and report any unusual management orders or directives immediately. 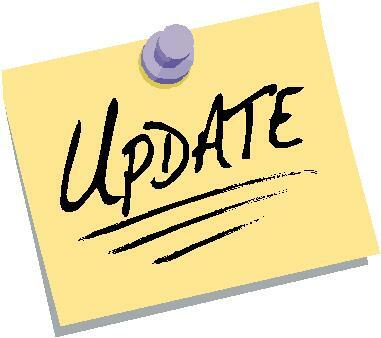 Please continue to look for updates on the Local 328 website and Facebook pages. Stay together and stay strong. Remember, our unity is our strength and our strength is our unity.